Dragon Wars was the second last IIGS game to come out of Interplay Productions, the last being Out of This World. Interplay co-founder and IIGS veteran 'Burger' Becky Heineman (formerly Bill Heinemen) programmed the IIGS version. 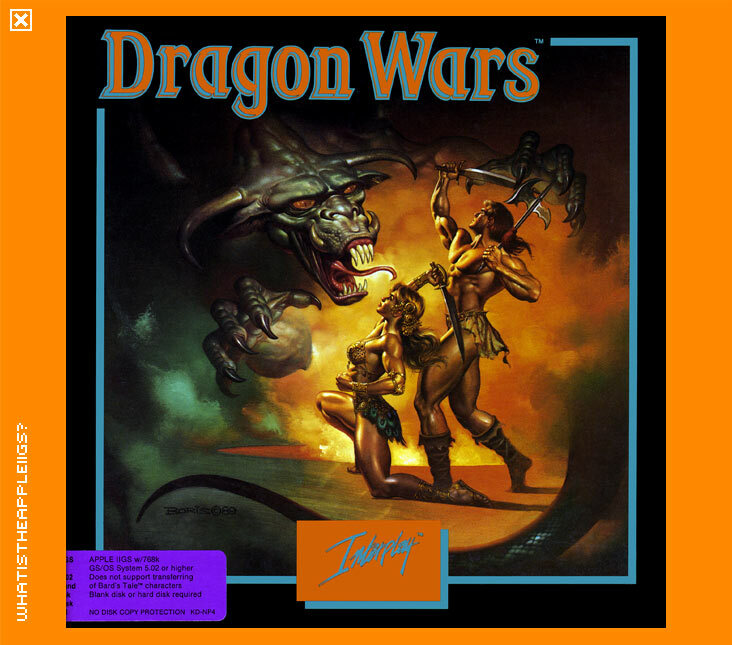 Dragon Wars followed the tradition of Bard's Tale; it's an RPG whereby you command a band of adventurers to traverse 3D mazes and slay monsters left, right and centre. Being a fan of Bard's Tale, I was interested in Dragon Wars upon hearing about it...but it didn't quite live up to my expectations. Dragon Wars was meant to have some neat additions to Bard's Tale and it does (namely the depth added to the combat system) but what detracted most about Dragon Wars for me was the bold use of using the same colour palette throughout the entire game, which can be attributed to the fact that monsters showed up in the foreground of your 3D perspective of the environment, as opposed to Bard's Tale where monsters were given their own individual background without overlaying them onto the 3D perspective. While Todd Camasta's artwork was very well drawn, it could have benefited from custom colour palettes for each monster. Bard's Tale I and II for the IIGS used custom colour palettes and I think the artwork in those games are the some of the finest examples of 4-bit graphics ever. Dragon Wars seemed a step backward in that regard. I was also disappointed at the use of GS/OS and the MidiSynth Tool (Tool 35) for the game. The game plays slower than the Bard's Tale I and II and I personally don't like MidiSynth music, especially after the wonderful music found in Bard 1 and 2. I have included Tool 35 on the disk image so if you haven't got it in your System/Tool directory you can copy it there. 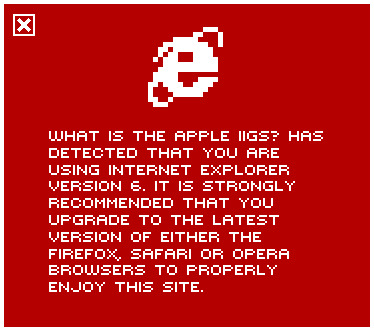 The disk image itself doesn't include GS/OS so you'll have to load it from System 6 or 5. In all fairness however, you shouldn't judge a book by its cover. As for me however, I haven't peeked beyond the first chapter of Dragon Wars and so can't describe the more important elements of gameplay, puzzle solving and maze mapping. That, I'll leave up to you. Happy adventuring!